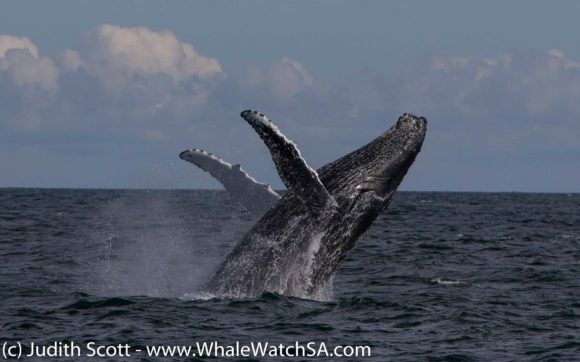 A day filled with absolutely wow sightings!! 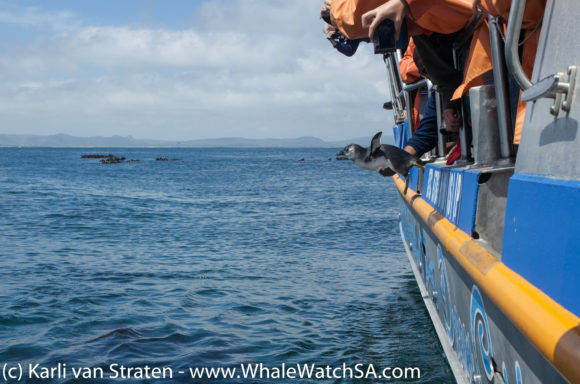 Whale watching is pretty much like going on a turquoise oceanic safari, only we don’t have any fences! Sometimes this works in our favour, other days? Not so much. 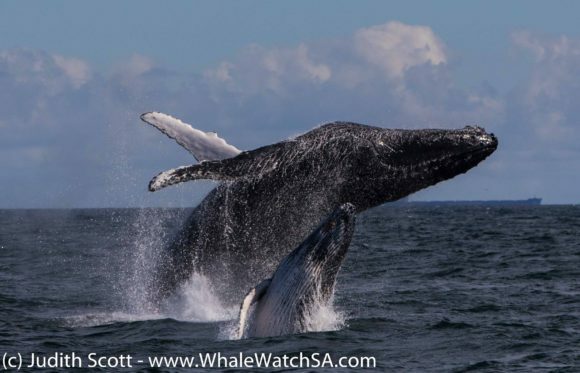 Today however, we could not be more grateful for the open system that is our Ocean. Things got off to a great start when we happened upon an Oceanic Sunfish, which is also known as a moonfish in some areas of the world. This peculiar looking guy was enjoying some Box Jellyfish for brekkie, when we pulled up and had a squiz. 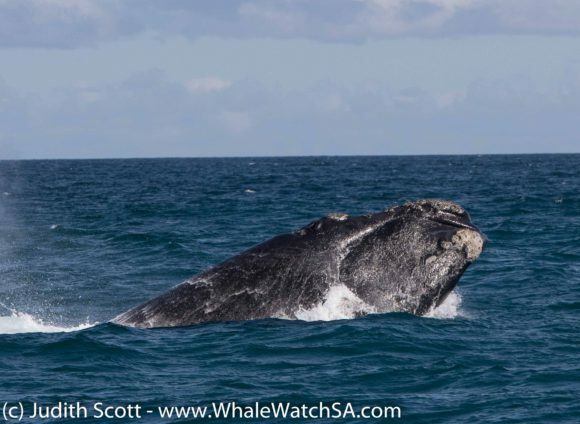 After a good look at this weird and wonderful creature, we made our way to the prime whale watching waters of Pearly Beach. 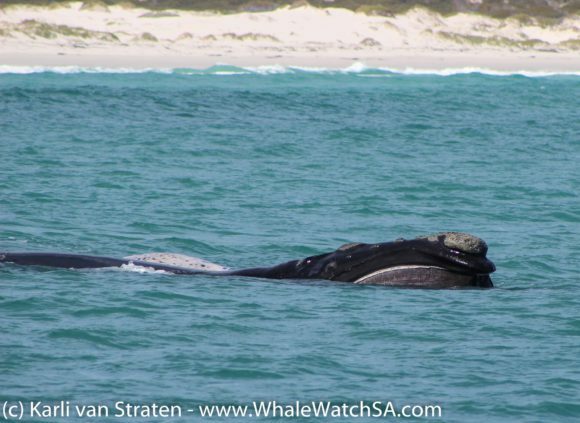 Upon arrival, we found a mating group of Southern Right Whales who gave us a fantastic sighting. 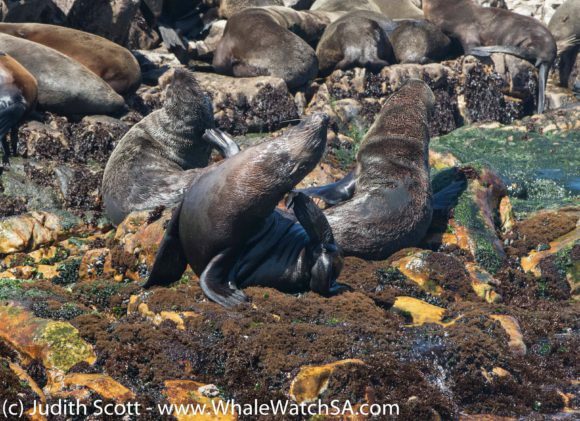 These beauties were a little preoccupied with each other to be stressed about our presence, which resulted in a spectacular display of flippers and tail flukes and heads. 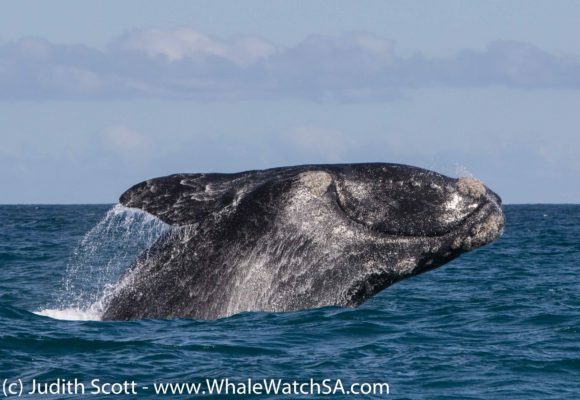 Towards the end of the sighting, curiosity kicked in and caused 4 of these gentle giants to come a little closer, making for a stunning, memorable encounter. 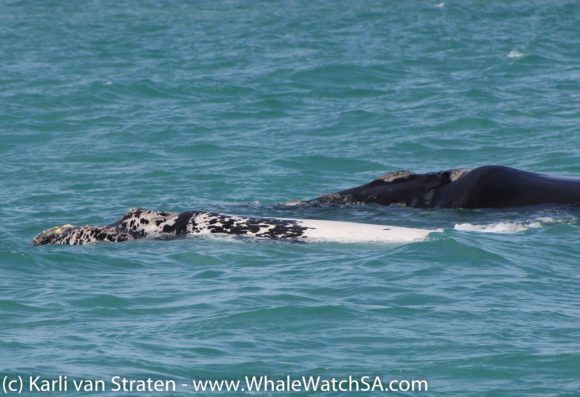 Also in this sighting, we got to see something which is quite the rarity. 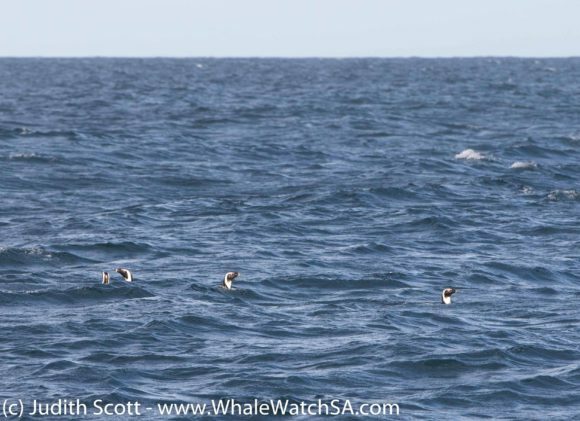 Despite us watching mating groups of whales for a living, one very rarely gets to see the, um, package, of the males out and about. 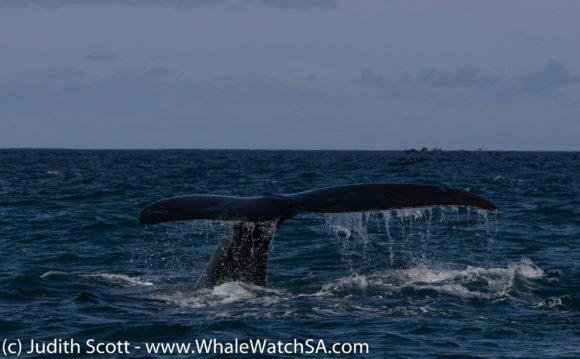 On this trip, we caught sight of the appendage, which is said to be among the largest in the world, much to the amusement – and amazement- of many on board. The second trip of the day also had a first of the season, with us spotting not 1 but 2 brindle Right calves with their moms. 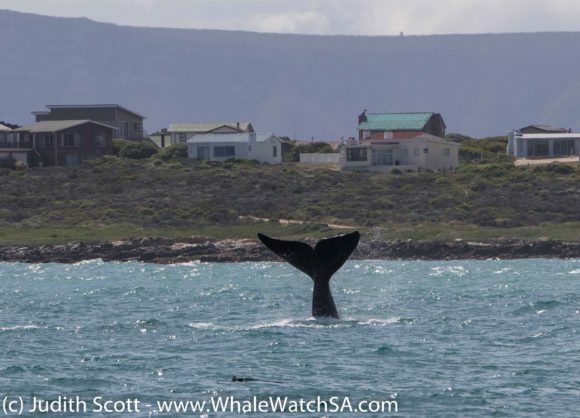 We had arrived in Pearly Beach to find the area teeming with at least 18 whales, which made for a 5 star whale watching experience. 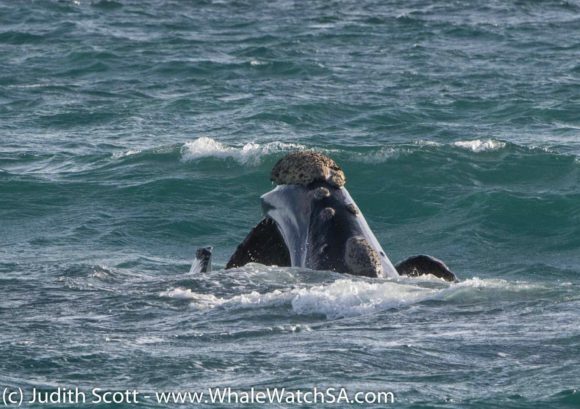 On this trip, we also got to see one of the mother whales open her gigantic mouth, exposing her golden baleen bristles to us in what kind of looked like an attempt at a smile. 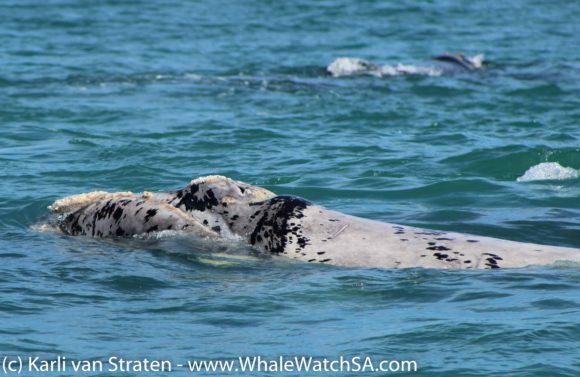 Back to the brindle calves, these little ones are born almost completely white and will age to become a greyish colour. It was super special to have these gorgeous little ones around and we hope to be seeing them a couple more times before they head down south. 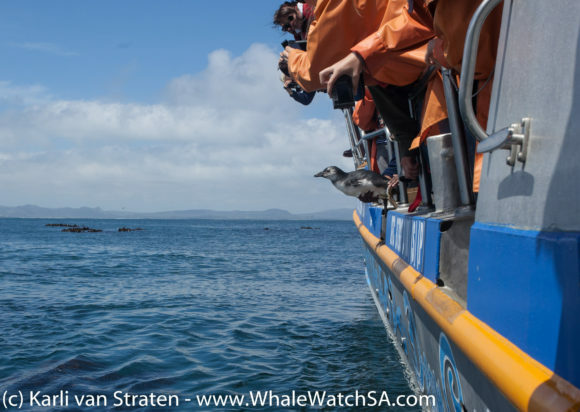 Our 3rd trip had what one of the clients call “the trip of a lifetime” and we strongly agree. 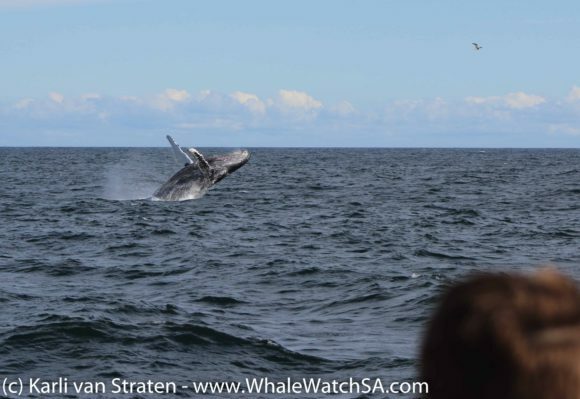 Not only did we get to see 2 different species of whale but we were also lucky enough to watch both breach. It all began in Pearly Beach whilst being surrounded by Southern Rights. Off in the distance, we had one large adult decide to put his breaching skills to the test, breaching continuously for us around the bay. 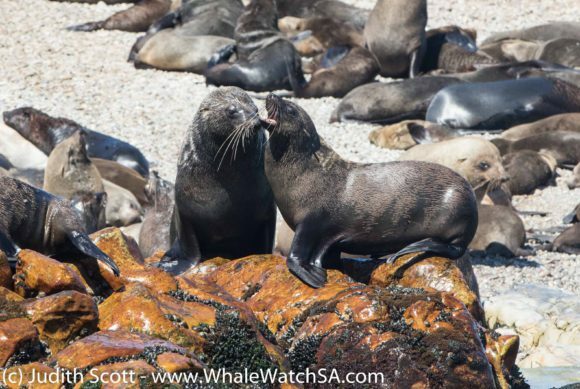 After watching 60 tonnes worth of beauty hit the water, we head on over to Geyser Rock to check up on our seals. We love being able to show our clients a little something extra when the opportunity presents itself, so we head on over to investigate. 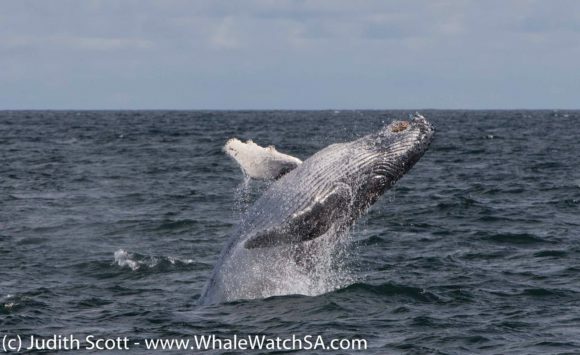 To our absolute delight, we discovered that it was not only an adult Humpback whale, but also a calf….and we got to watch them breach in sync. I’ll let the photos below tell the rest of this beautiful story. 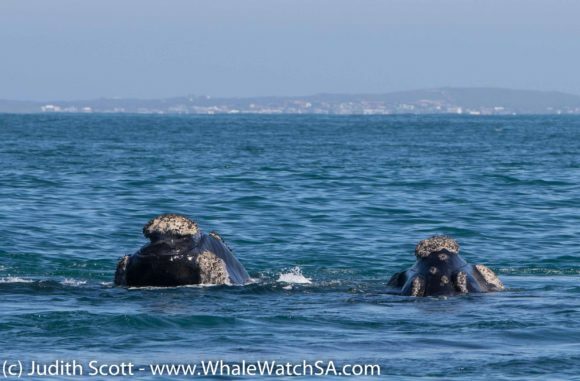 The last trip of the day also landed themselves some luck when we found a mating group of Southern Right Whales just outside the harbour. 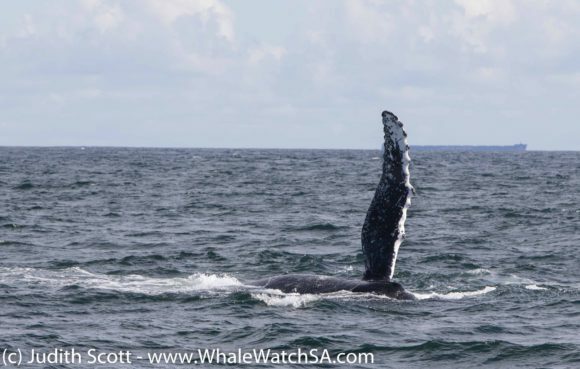 We went on to see tonnes of other Right Whales in Pearly beach before calling it a – perfect- day out on the Atlantic.